Home Recipes	Hiring Movers to help with your Move! Greetings and Happy Wednesday! This has been a whirlwind of a week/weekend! We successfully moved our son from New York City to Washington, DC. Was it crazy? Yes. But we made it much easier by hiring movers to help! Last week I found a bunch of free moving boxes on our community’s free Facebook page. I took the boxes and packing materials to my son’s apartment last week and we boxed up most everything in a day. Luckily he had been cleaning out and weeding out things he didn’t want to take to his new place or items he didn’t need anymore. On Friday, my boys picked up the 15 foot U-Haul we rented the week prior. We’ve rented U-Hauls dozens of times over the years. Mostly to move our boys during and after college and a few trips to the lake house. But we’ve always loaded and unloaded ourselves. As you probably know, this can be a hard, backbreaking chore! So this time we wised up and hired some professional movers on each end. 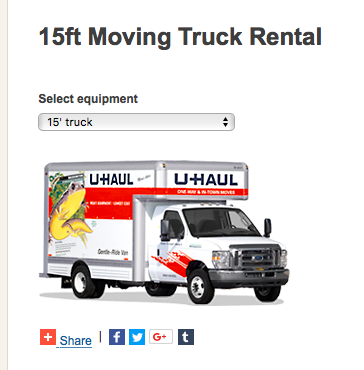 When you go to the U-Haul website you can reserve the size and type truck you want. As you continue the online check out there are prompts that ask if you need further packing items such as boxes, moving dollies, hand trucks, blankets, etc. We already had a moving dolly so we rented one hand truck. After that it asks if you need help moving? This time we decided to check it out. There was a LONG list of moving companies along with their rates. The cheapest rate was $140 and went up to nearly $400 for a two hour, two man crew. Since the truck rental was already pricey, we went for the cheapest movers on both ends. I did read the reviews and they got 4 1/2 out of 5 stars and the reviews were great! So, we went with the cheaper guys. We couldn’t have been more pleased! The movers in NYC loaded all of the furniture and boxes in a little over an hour! Granted it was a 15 foot truck and they were moving a one bedroom apartment but still! My sons and I helped and put the more fragile things to my car. So we were all packed up in no time! The scheduling of the move and movers was the tricky part. We had to allow travel time from one place to another and find a rental that allowed for a one way trip. Not knowing how traffic would be was tough, and we tried to allow plenty of time to get to our destination before we met the movers. The movers placed the furniture exactly where we wanted it and put the boxes in or near the rooms as labeled. They saved us so much time that we were able to unpack lots of boxes and start putting things away quickly. My husband declared hiring movers was the best money he ever spent! We still have about a day’s worth of work hanging pictures and putting away the clean clothes. Since my son’s washer and dryer won’t be hooked up for another week I ended up doing most of his laundry at our house. (Just like old times! ;)) Now he will be all set to start his new job in a new city next week! We are so proud of him and can’t wait to visit him soon!